I am still having fun with this new stamp set, Lighthearted Leaves. 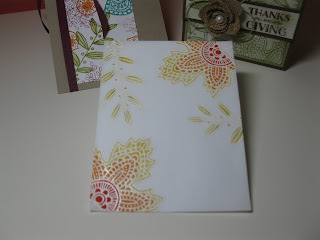 Just a few more days and it will be available for purchase from the new Stampin'Up! holiday catalog. September 1st is the magical day! This card isn't finished but I couldn't wait to show you the results of my studio play time. A little vellum, embossing powder and markers and I was tickled pink! Check out how these leaves turned out using the resist technique. 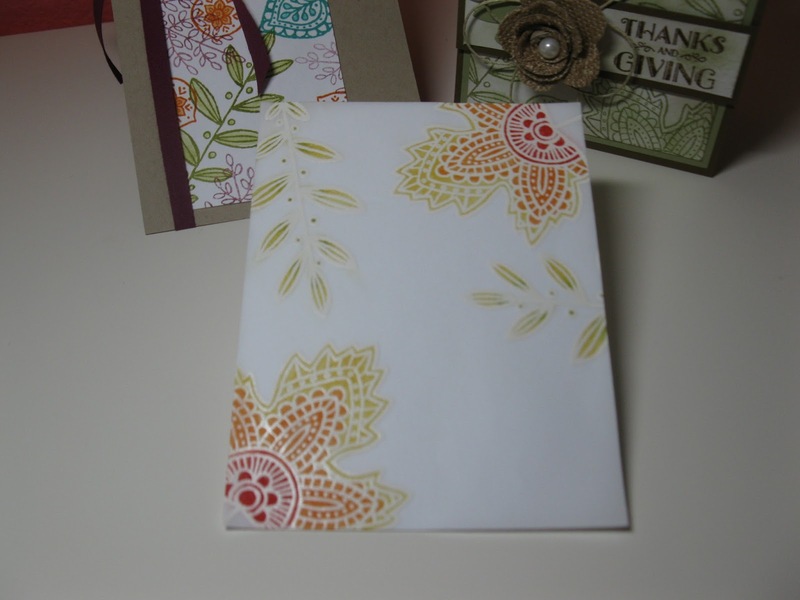 I heat embossed my lighthearted leaves with white embossing powder on the vellum and then colored in the leaves with my Stampin' Write markers directly on the vellum. I just used a tissue to wipe away the excess ink when I was done and it comes right off the white embossed lines. (That's the "resist" part!) I am so happy with how it turned out. Love how the colors blend from the Real Red to the Daffodil Delight. I will post another picture when I have a finished card for you. I am thinking am Old Olive card base, some white or gold twine and pretty red sentiment?